In today’s crowded marketplace, you must learn how to leverage the power of social media to enable your business to survive. More adults than ever are using social media before they make a purchase. According to recent data from the Marketing Tech Blog, approximately 46% of Americans check social media when making purchasing decisions. 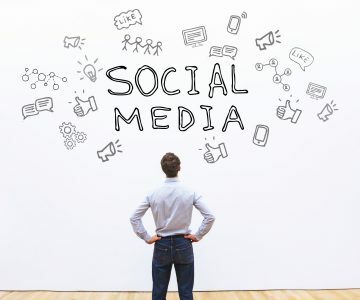 Social media can help your business to connect with customers, improve your search engine results, and expand public awareness of your brand. Below are some social media tips to help your business grow. We will also discuss how you can use Twitter to attract customers. Why does social media management matter? Using social media to promote your company is crucial for two reasons. First, it’s an excellent way to stay in touch with your customers and reach out to potential ones. Second, it is a helpful way to boost potential marketing opportunities while allowing your business to contain problems before they spread to review sites or the local newspaper. What’s the difference between a personal social media presence and a professional one? The answer largely boils down to content and usage. For example, would you talk politics with a customer, or show them photos of your cousin’s new baby without them asking? Probably not. But if you try to use your personal social media presence as your professional one, that’s exactly what could happen. A professional social media presence allows you to control content and keep the focus on your business, not your personal life. How closely should I monitor my social media presence? You should check in occasionally during the day, such as on your lunch break or at the end of the day. For the most part, you’ll be looking for possible leads and complaints. People may choose to communicate with you over social media rather than call or email you, and your social media presence will help you to find and answer those questions. Even the most marketing-savvy professional can struggle with what precisely to do with social media. However, an effective social media profile can do wonders for your business. Here are several ways to use social media for your business. Set up professional pages: Claim your online real estate on major social networks such as Facebook, Twitter, and Instagram. If you use Twitter, make sure to contact the site directly and have your account verified or otherwise marked as official so that customers know it’s you and not a parody site. Take general questions: One of the best social media strategies is to use your Twitter account or Facebook page as a forum to answer general questions. Of course, you should let someone know if you can’t answer their question without further research. But if it’s just a general question, take a moment to answer. It’ll help everyone reading and build your social media presence. Share interesting articles: You can consider using social media to share interesting articles. And, of course, if you’re mentioned in the newspaper, take a moment to toot your own horn. It’s what these sites are for—to some degree—and it can draw the attention of potential customers. Post images of your business: Remember, there’s more to social media than just text. In fact, social media sites are working hard to make it easier to share video and photos. So, take advantage of that. Take photos of employees or renovations to your business, for example. Share a positive status: We all like to hear that we’re doing a good job, and social media lets you put that out there with ease. If a customers shares a positive experience with your business, you should take a moment to share it on your professional page as part of your marketing strategy. This will help you in two ways. First, there is no better form of advertising than word of mouth. The second point is a little more subtle. While it’s flattering that the businesses you work with care about what you think, sending the message that you’re paying attention will make customers more likely to come back to your business when they need your services. Add a little bit of the personal touch: A business’s Facebook or Twitter page should be more or less professional. But take a moment now and then to engage in a little community boosterism, whether you mention an event in your area happening in a few days, share a status about a local charity’s recent actions, or just throw in a word of support for the high school sports team the night before a major game. It’s these touches that will help customers think of you as part of the community. Ensure that your sites are updated regularly: You don’t need to post every single thing that crosses your desk, but it is a good idea to update each social network you’re a part of at least once a day or so. While it could be anything from a coupon to an informal customer survey, regular updates mean that it’s more than just an empty storefront. You want your company’s social media presence to be something that your followers will enjoy and find useful. Engage with your customers: Post content that asks customers to respond and engage with them accordingly. Customers always respond well when you engage with in a positive way. They find it flattering and it makes them more invested in your brand. Give complaints priority: One major problem that your business can run into is if a customer complains online. Complaints need to be handled quickly and carefully because they’re simple to share online and difficult to keep from going viral after a certain tipping point. The silver lining is that if your company’s social media team handles a complaint well, that can also go viral, bringing you good word of mouth and customer goodwill. Comment publicly on the complaint, but empower your social media team to contact the person directly and collect information before passing it on.Of course, not all complaints can be solved to a customer’s satisfaction, but at the very least you can demonstrate a willingness to listen, which is equally important to consumers. 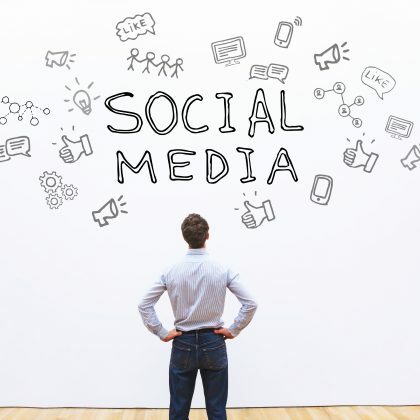 Remember that social media is only part of your online strategy: While social media management and interaction with customers is important for your business, what is equally important is to remember that there’s more to the Internet. Review sites, private blogs, and consumer news sites can offer just as many opportunities and challenges as social media, and can even pick up on social media stories. If you want a complete, wide-ranging Internet strategy, ReputationDefender can help. Whether it’s working to ensure that your brand is the best it can possibly be or dealing with a social media problem, make sure ReputationDefender is in your corner.